Bochum’s 1,650-seat Starlight Express Theater. 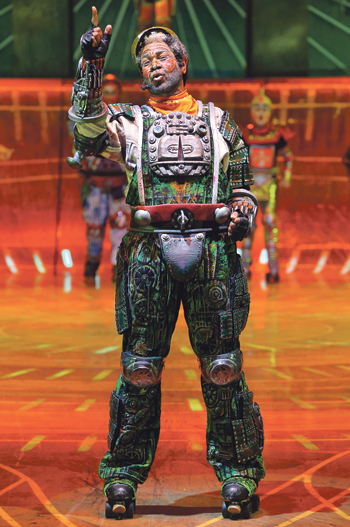 When Starlight Express closed in the West End in 2002 it had clocked up 7,409 performances. In Germany, the musical has so far played more than 10,900 times since it opened in 1988, a feat that would leave it just 2,000 performances away from outrunning the current musical – Les Miserables – were it playing in Theatreland. But it isn’t. Andrew Lloyd Webber’s rock musical, written for his children, doesn’t adorn the marquee of a West End or Broadway theatre and is rarely mentioned in the same breath as iconic shows such as Les Miserables or The Phantom of the Opera. 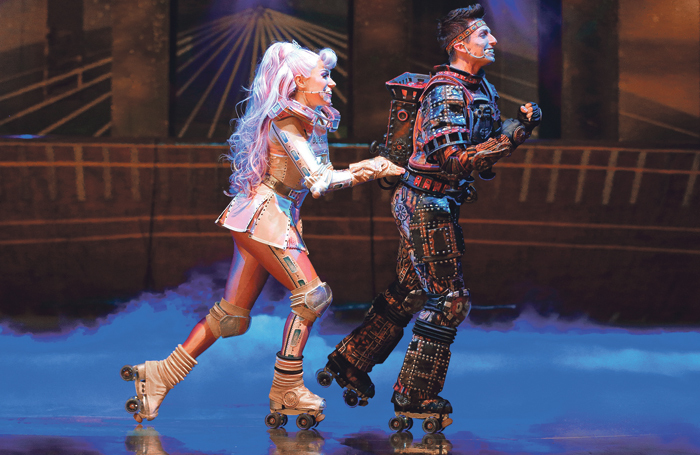 Yet over its 28-year history, the Bochum production of Starlight Express has been seen by around 16 million people from across the globe. In a world where a child’s toy train set has come to life, the famously roller skate-clad performers become the engines competing to become the fastest in the world. Originally staged at the Apollo Victoria – which was extensively remodelled to accommodate John Napier’s vast, wraparound set, with tracks running around the auditorium – the show ran for 17 years, spawning several other productions: one on Broadway, a touring production in Japan and Australia, and then one in Bochum, western Germany. Its electro-pop soundtrack is often on the guiltier side of guilty pleasures, and the show has been revived with varying degrees of success. Yet what is it about this larger-than-life musical that means it has become the toast of the town in Bochum? For Arlene Phillips, the show’s original choreographer, a sense of nostalgia has manifested itself in the production – it has run in the same custom-built venue since it opened. Childish excitement ensures that those who see the show fall in love with it, she tells me, the first memory becoming “everlasting”. Lloyd Webber’s music, too, is “stunning”, she says. With a score that veers from disco to country, the show doesn’t boast the hits of shows such as Cats or Phantom but has still acquired legendary status, Phillips adds. Frances Ruffelle, who originated the role of Dinah when she was just 17, went on to find global fame as Eponine in Les Miserables, but the scale of Starlight’s demands on its performers didn’t fail to make an impact. “It was a massive challenge, one that I still have anxiety nightmares about. In my dreams I get asked to step in at the last minute. [It’s] scary,” she says. There is also a resilience to the show that has allowed music to be added, updated and taken away. Others have had licence over music and lyrics over the years, with Lloyd Webber’s son Alastair himself writing a number. But while the show’s music and choreography have been altered over time, one thing that has remained constant is the need for every performer to skate their way through the show. The full Bochum cast is 41-strong, yet it is not a prerequisite for performers to have skating experience before they begin rehearsals. Martyn Andrews, who performed in the show fresh out of drama school in 2000, was one of those actors. He arrived fresh-faced and full of ignorance, he says, about what he was about to undertake. The job of turning musical theatre performers into professional skaters, capable of carrying an entire show on their eight wheels, falls to skate coach Michal Fraley. His involvement with the show began in the mid-1980s. He was teaching roller skating in California when he was contacted by a performer auditioning for the musical’s Broadway transfer, asking for skating lessons. The contact was a good one, and Fraley was hired by the Broadway production to train its original cast in 1987. Since then, he has trained almost 1,000 performers in 10 different productions across the globe, and has even written a book about his experiences. A choice anecdote features the accidental, and disastrous, deployment of the emergency sprinkler system during a show. It’s a gruelling process, Fraley explains, with a rehearsal period of 15 or 16 weeks, seven of which require performers to skate for six hours a day, six days a week. It is said that performers burn around 4,000 calories during a show, and the costume for the character of Greaseball allegedly weighs three stone. The show was a “cult attraction” when it first opened in Germany, he says, but its intrinsic message has also struck a chord with local audiences. “It’s light-hearted, it’s not overly serious, it’s not Shakespeare reworked into some strange modern thing like they do here with their theatre stuff. Musicals have kind of always been here, but in the early years they were tours from the UK or Broadway. I think we were the second musical to be produced and sung in German – after Cats in Hamburg. That was the beginning of the whole musicals industry in Germany in modern times,” Fraley explains. 16 Number of major productions of Starlight Express in its history. 28 Years the Bochum production has been running. 60 (km/h) Speed achieved by performers on the tracks. 800 Spotlights in the Bochum production. 4,000 Estimated number of calories a performer burns during a performance. 143,304 Number of wheels worn in the Bochum production’s history. 1.4 billion Dollars made at the box office from the show. Today, Germany and its neighbouring countries are some of the most lucrative markets across the globe for musicals, with companies from all over the world clamouring for a slice of the pie. 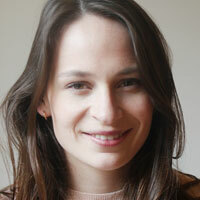 The show’s German producer, Mehr! Entertainment, now has on its hands the most successful musical productions the region has ever seen. 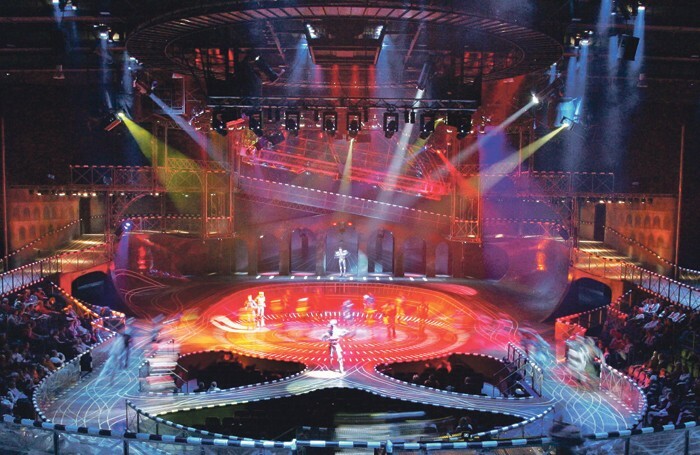 The show has, since opening, been performed in the 1,650-seat Starlight Express Theater – the first theatre ever to be built exclusively for a single musical. Chief executive Maik Klokow – former managing director of Stage Entertainment – describes the venue as “more of a sports arena than a theatre”. Audiences hail largely from Germany and the Germanic territories, but devotion to the show has brought visitors from across the globe. The record for the number of performances seen by one person tallies around 700, Klokow says proudly. Musical theatre actor Oliver Thornton has performed in both a UK tour of Starlight and in Bochum. He says the key to the show’s success lies in its universal story of strength and that the German production, in which he played Caboose, is “unrivalled”. “The scale of the show is unlike anything you’ll ever see in the West End, and it plays to a hugely passionate audience who come back time and time again, supporting the show with unfaltering passion,” he adds. But relying just on old-faithfuls isn’t going to keep the show on its feet, Klokow explains. Just as Lloyd Webber tinkered with the music, and Phillips with the choreography, the show’s producers can’t let it feel out of date. It needs to be a “living show” if it is going to keep enticing audiences, he adds. To that end, it is altered constantly, with particular improvements to sound and lighting; in recent years new LED technology, lasers, special effects and new sound systems have all been installed. But despite having to fill the vast theatre eight times a week, appetite for the show seems unwavering. “Our perspective is always in five-year terms, so we are working towards running at least another five years from now because there is no weakness in our audiences, so there’s no reason to stop,” Klokow says. It would seem Starlight Express is a train that will just keep on rolling.